Etsy is full of vendors catering to the coolest of babies, and LEFTright is the latest to catch our eye. LEFTright infuses organic cotton hats, bibs, onesies, and other baby goodies with a hefty dose of wit and charm. The infant hats are especially funny with thought bubbles dreaming up towards tacos, boom boxes, and ice cream cones. And who knows? Maybe baby’s 3 a.m. screaming fit really WAS because she wanted tacos. Hipster dads are certain to covet the bicycle tees, with the cheeky, hand-printed motto, “This is How I Roll”. And check out the line’s Bling Bling chain necklace bib, which you can personalize for the baby rock star in your life. All of LEFTright’s goods are printed with water-based inks and come in rich, subdued colors that add to the line’s cool factor. 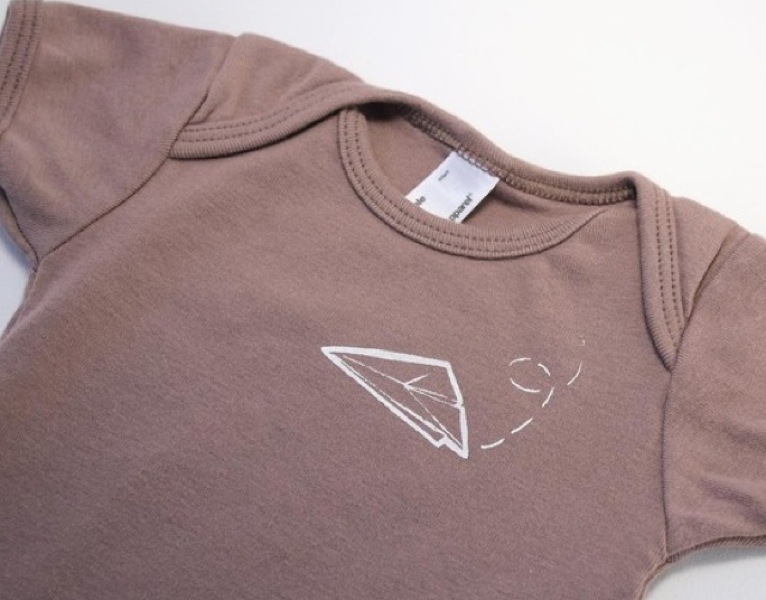 Etsy is full of vendors catering to the coolest of babies, and LEFTright is the latest to catch our eye. LEFTright infuses organic cotton hats, bibs, onesies, and other baby goodies with a hefty dose of wit and charm. The infant hats are especially funny with thought bubbles dreaming up towards tacos, boom boxes, and ice cream cones. And who knows? Maybe baby�s 3 a.m. screaming fit really WAS because she wanted tacos. Hipster dads are certain to covet the bicycle tees, with the cheeky, hand-printed motto, �This is How I Roll�.� And check out the line�s Bling Bling chain necklace bib, which you can personalize for the baby rock star in your life. All of LEFTright�s goods are printed with water-based inks and come in rich, subdued colors that add to the line�s cool factor.